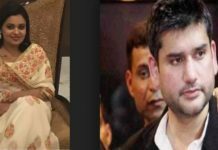 Home Latest Stories Taking note of Pitroda remarks Jaitley makes ‘Nikkamma’ jibe on Rahul Gandhi. Taking note of Pitroda remarks Jaitley makes ‘Nikkamma’ jibe on Rahul Gandhi. Taking strong exception to Congress President Rahul Gandhi’s close associate Sam Pitroda’s remarks questioning anti-terror strike by Air Force at Balakot in Pakistan, Finance Minister Arun Jaitley on Friday blasted the Opposition party. “Agar Guru aisa ho aur unke vichar aisa ho, toh shishya kitna Nikamma niklega aaj yeh desh ko bhukatna par raha hae (If Guru is like that, the disciple can be only a worthless one and the country is suffering this situation today),” Mr Jaitley told reporters in presence of Union Law Minister Ravi Shankar Prasad and cricketer Gautam Gambhir, who joined the saffron party here. “It is very unfortunate statement for India that somebody regarded as the ideologue for Congress party has said so,” Mr Jaitley said answering questions. Sam Pitroda, Indian Overseas Congress Chief, has questioned Indian Air Force actions on February 26 and said just because eight terrorists come and ‘do something’ — “you don’t jump on entire nation (Pakistan)”. Mr Pitroda had tried to justify the then UPA government’s decision not to undertake any aerial strike against Pakistan after 26/11 Mumbai terror strike in 2008. “Such people have no connect with India’s security requirements…The pain that we have suffered in last three decades due to terrorism,” the Finance Minister said. “Our security doctrine has evolved,” said Mr Jaitley, who is also a member of the Cabinet Committee on Security. He said – “We were earlier only defending ourselves when the terrorists came within the country. Today it has evolved that we go to the point of origin of terror and make a pre-emptive strike because that terror is aimed against us”. He further said Mr Pitroda’s remarks reflect the fact that the Congress party is out of touch from the sentiments of the armed forces and the people of the country. The Opposition party also has not bothered to note that every country has “supported us” during the Surgical strike of 2016 and also the air strikes on Balakot camps. He said the fight against terror has now emerged as an ‘ideological battle’ between those who want to defend India through all instruments and strategies at its command and those who want to fight terrorism “with kid gloves and their hands tied behind them”. “If the tutor has these views (like Pitroda), then the student I think will do what the present student is doing,” said Mr Jaitley, who also held Defence portfolio for sometime under Prime Minister Narendra Modi. “This is not the first time that a senior leader of Congress party has made such a statement. Repeatedly such statements have been made….Mr Pitroda will be very high on his TRPs in Pakistan TV today,” he said adding – “I am equally sure the level of revulsion against his statement in India will also be very high”. Speaking on the occasion, former cricket star Gautam Gambhir, who joined the saffron party on Friday, said he ‘echoes’ and endorses what Mr Jaitley has said. 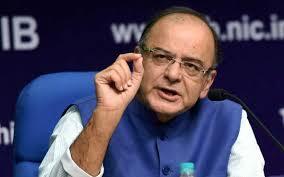 “….I echo what sir (Jaitley) has said. I totally endorse that statement,” Mr Gambhir said. Previous articlePM slams opposition for insulting armed forces. Next articleAamir Khan appointed as Brand Ambassador of PhonePe’s.